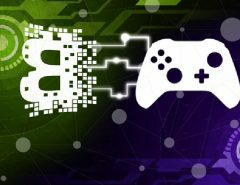 In addition to many virtual assistant, the gamer world has had a special role in Las Vegas with numerous new products, mainly level gaming equipment and where abundant brands put the focus more and more. But the world of gadgets and gaming products has its biggest and most curious appeal in accessories and peripherals. 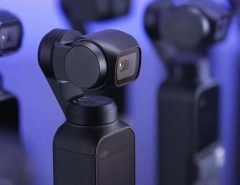 We collect some of the most interesting and also we have met strangers at CES 2018. We had RAM memories of the few components of the PC that almost got rid of the personalization with lights. Not many manufacturers dared with this option but they are getting more. 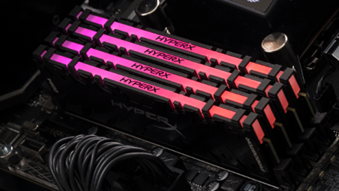 HyperX, Kingston’s games division, has introduced a new HyperX DDR4 RGB predator memory in Las Vegas. The novelty of these modules is that they are the first to include infrared technology for synchronization between modules, so that their RGB lighting is enhanced. These modules also support the configuration of their lighting through the control software that includes the motherboard, for which Kingston is working with manufacturers such as ASUS, GigaByte and MSI to make their systems AURA Sync, RGB Fision and Mystic Light compatible. Both Logitech and Corsair are committed to a wireless gaming mouse that never lacks energy to function. If you decide on one of them, the ideal is to accompany it with one of the new mats to charge that peripheral wirelessly. These mats, with texture that facilitates the movement of the mouse, is compatible with the Qi load standard, so any gadget that has that possibility can be loaded directly on it. 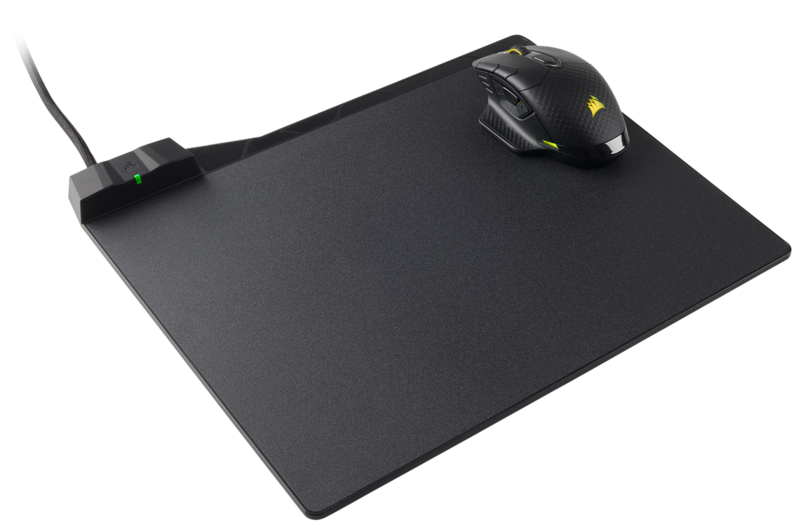 If our smartphone or tablet is not, the Corsair Qi MM1000 mouse pad comes with small Lighting and microUSB adapters. The price of the rug will be around $90. 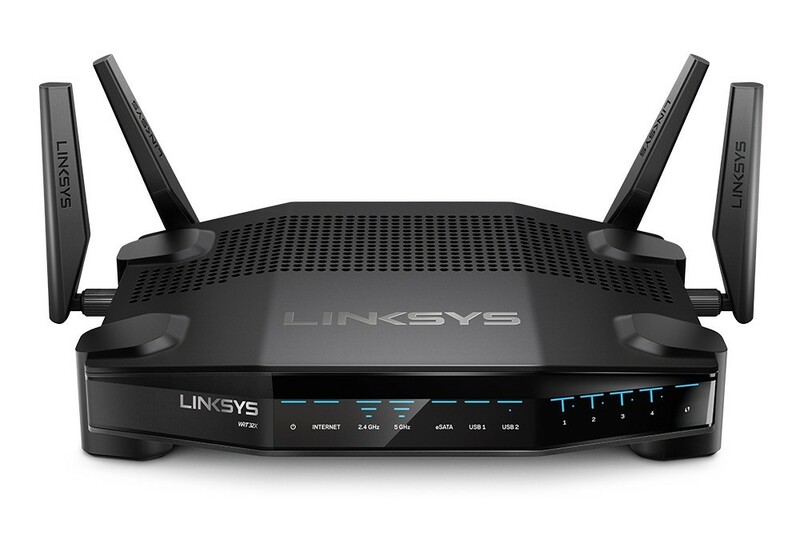 That the Linksys is an AC3200 router of powerful appearance, good management software, powerful processor and well endowed ports, is not the most important thing for a gamer. This new Linksys WRT32XB router will be able to enjoy its Xbox One console to those who integrate it into their home network because thanks to Rivet Networks technology, the traffic coming from the Microsoft console is prioritized, being able to reduce the ping by 65% ​​according to Manufacturer information. In the future and thanks to a software update, the player may be the one who decides which device to play is the priority for the traffic of their network. It will start selling from the month of February for about $300. 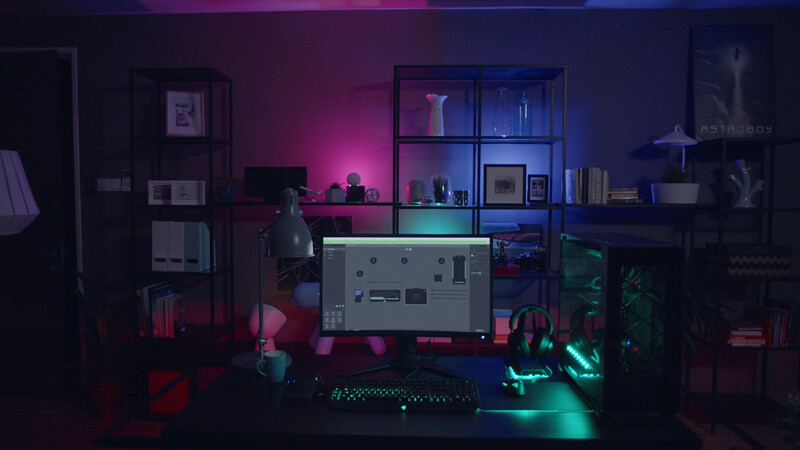 The king of co-connected lights, Philips Hue, already has a collaboration in the relevant gaming world: with Razer. Both companies have integrated the API and tools of Philips Hue Entertainment with the Razer Chroma lighting ecosystem. To achieve this, in addition to the latest updates of its Philips Hue and Razer Chroma softwares, the Philips Hue V2 bridge is required. The options to customize the lighting do not have to be limited to the moment of the game, and the collaboration will also serve to manage the Philips Hue system from the computer with Razer software in other situations such as cinema or simply playing music. 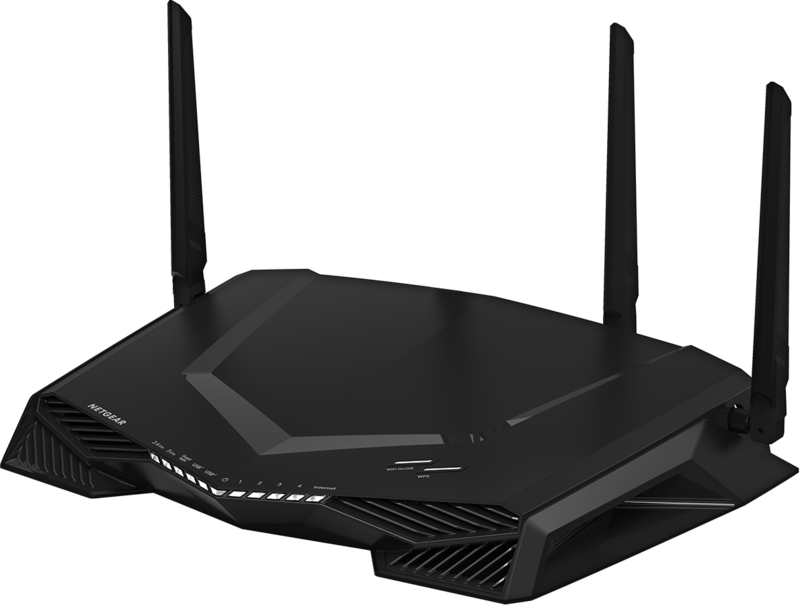 Another router 100% designed for players is the new Netgear Nighthawk Pro Gaming XR500. Beyond being a 4×4 MIMO model and with 5 Gigabyte Ethernet ports, its most outstanding features are the control panel with a lot of information on traffic and connected devices, which is customizable, VPN to try to avoid DDoS attacks and maintain more privacy in the connections, but especially a geographic filter to ensure local speed with other players or servers based on the distance to them. You can already buy at a price of 300 dollars. The usual thing when talking about gaming monitors is to refer to their response time, panel refresh or even their appearance. However, the MSI MPG27CQ adds a new value: LED lights that help us when we play. They do so in the form of notices of how much time we have left to re-use a skill (cooldowns) in certain games or new messages in services such as Discord. These functions are configurable thanks to the Steelseries GameSense technology. 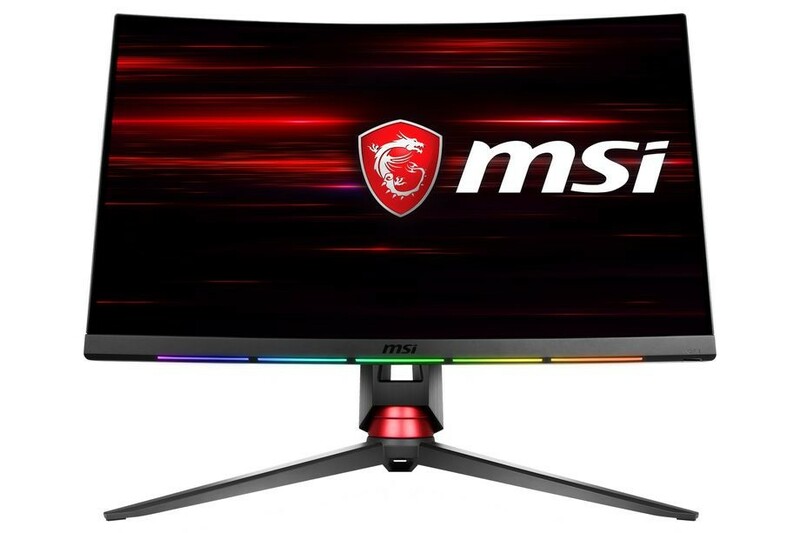 This monitor is curved, with WQHD resolution, response time of 1 ms and frequency of 144 Hz. It will be available with diagonal of 27 inches, but if price or launch date still decided. 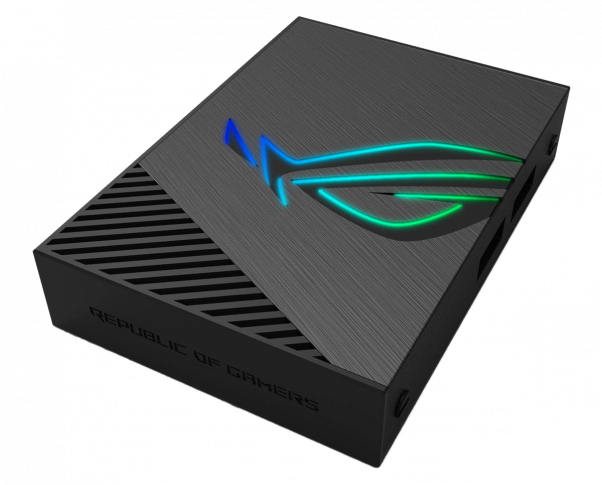 ASUS does not give up in its effort to fill each of its colors and create the environment that they consider ideal to play. How about starting out feeling like a kind of Batman from the game? 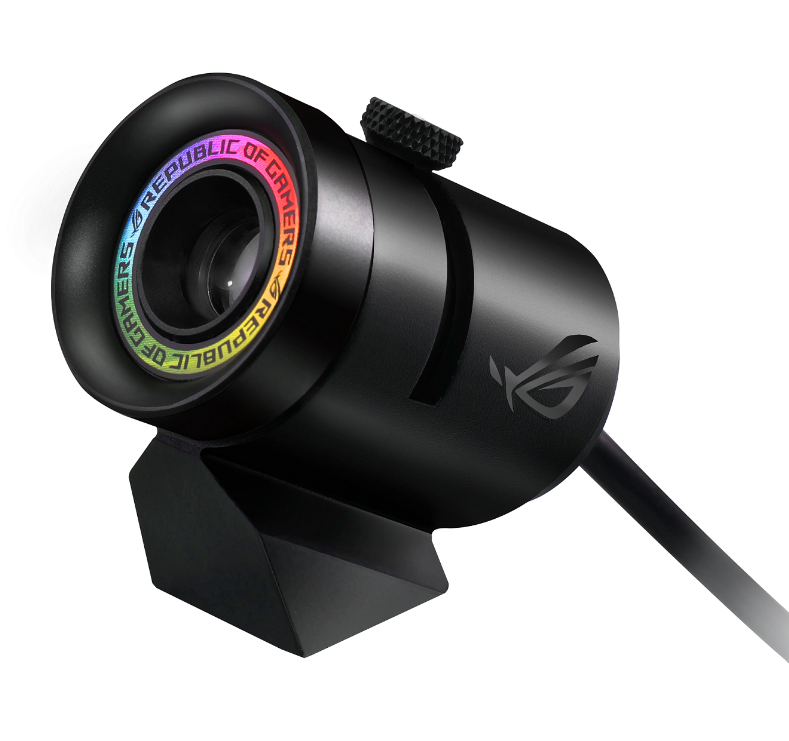 The ROG Spotlight is a light source device that projects the ROG logo with the colors that the system determines that are synchronized with the rest of the AURA luminance kit. It is magnetized to attach it to any metal surface and can rotate 360 ​​degrees. The ideal gamer room for ASUS is complemented by the new ROG Aura Terminal controller. This device the size of a PowerBank is responsible for creating a kind of Ambilight system for players. Connecting a strip of LEDs behind the monitor, up to 120 can control, the ROG Aura Terminal shows lights that are synchronized with the colors of the game at the edges of the screen, completing the ambience of the room where we are playing. These strips can also be placed in other places such as inside the PC case and in that case the synchronization would be with the AURA system that we had configured. Corsair does not want you to play unprotected or on a table. 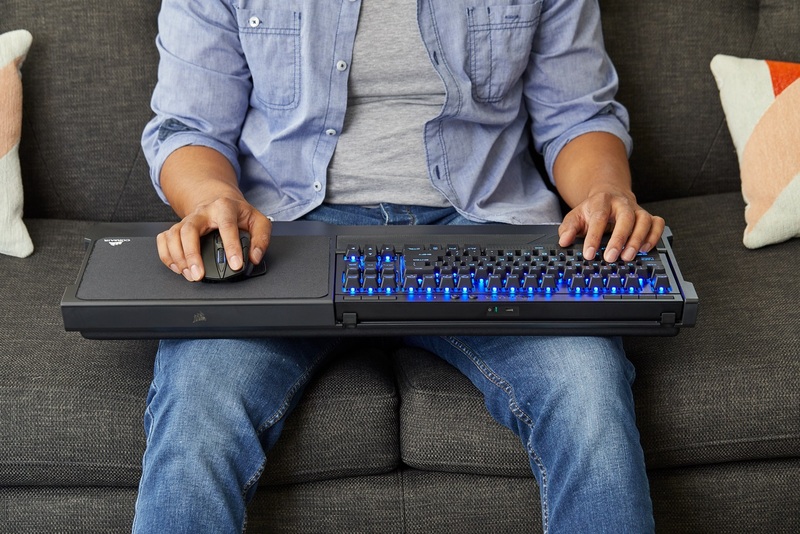 The combination of the K63 Wireless keyboard with the board of the same name offers the player two values ​​not very common in the market. In the case of the keyboard, mechanical type, includes 128-bit AES encryption to prevent wireless interceptions of it. This Corsair keyboard is also quite compact, which makes it easy to integrate into the K63 board, which includes a space for it, as well as a mouse area of ​​considerable size and viscoeslastic foam for comfort when we place it on our legs. Together, the system offers 15 hours of autonomy. For now the price has not been announced.